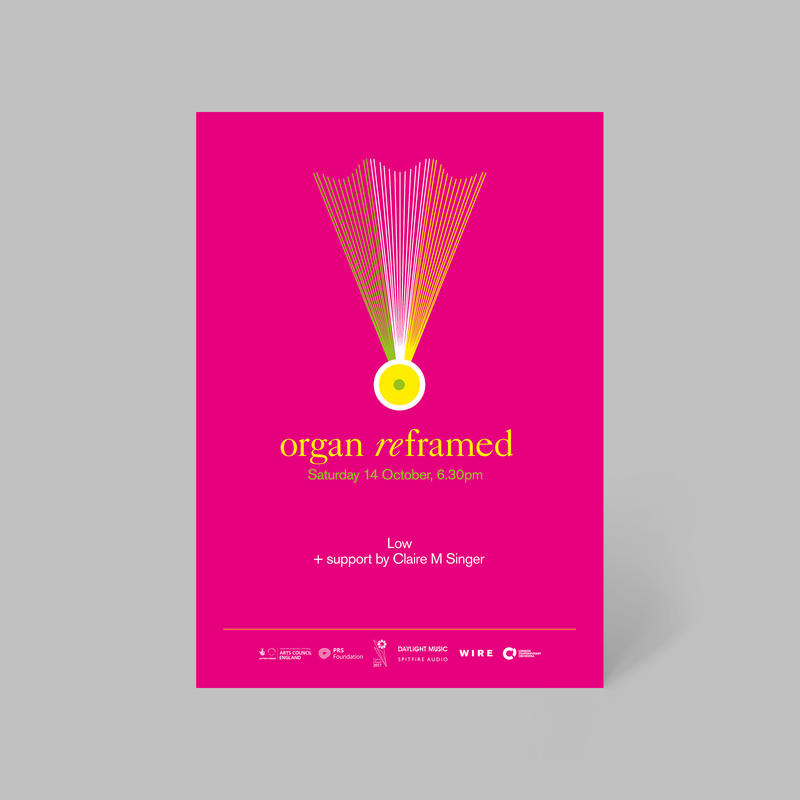 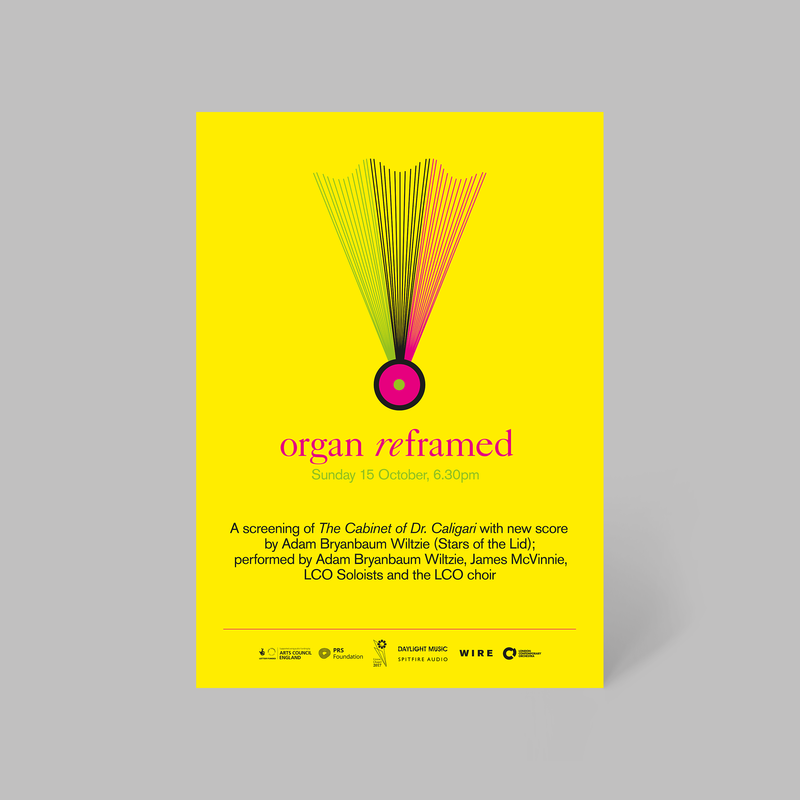 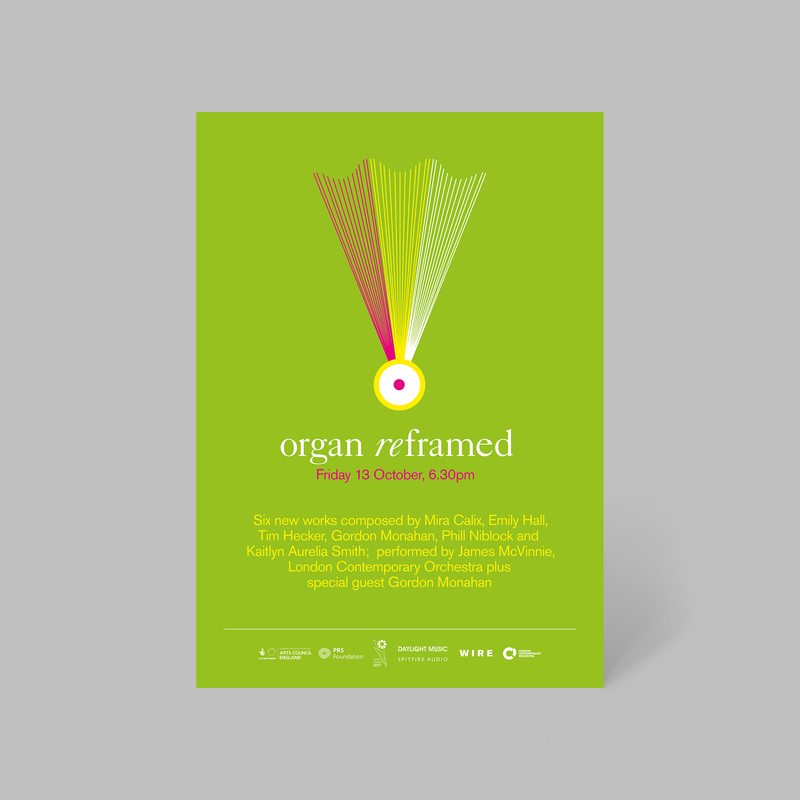 Organ Reframed is a festival curated by artist Claire M Singer, whose own work often incorporates the organ. 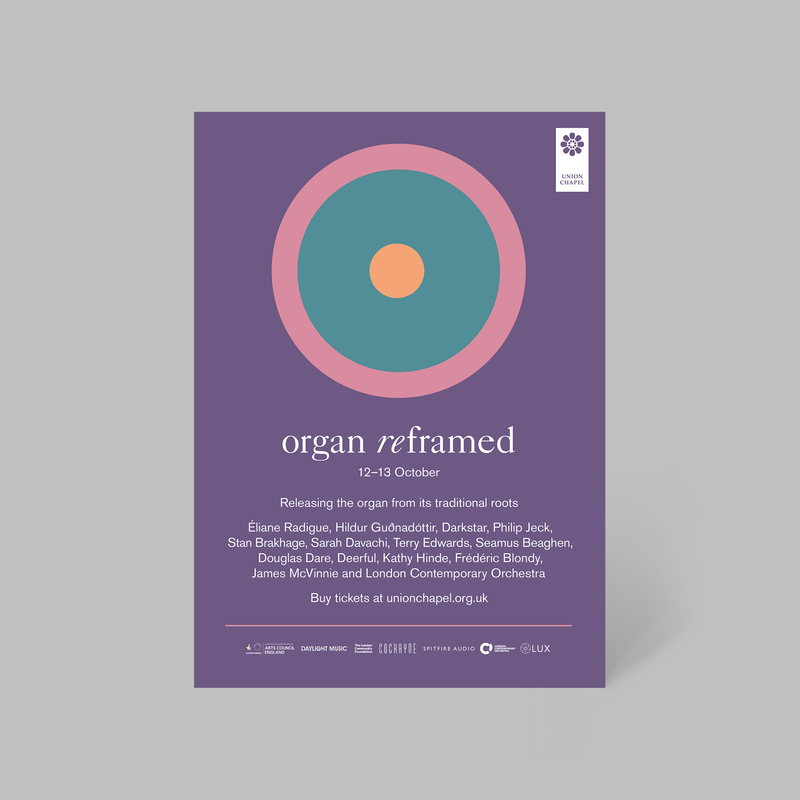 Working with the London Contemporary Orchestra she has created a unique festival at the Union Chapel, London – home to one of the finest organs in the world. 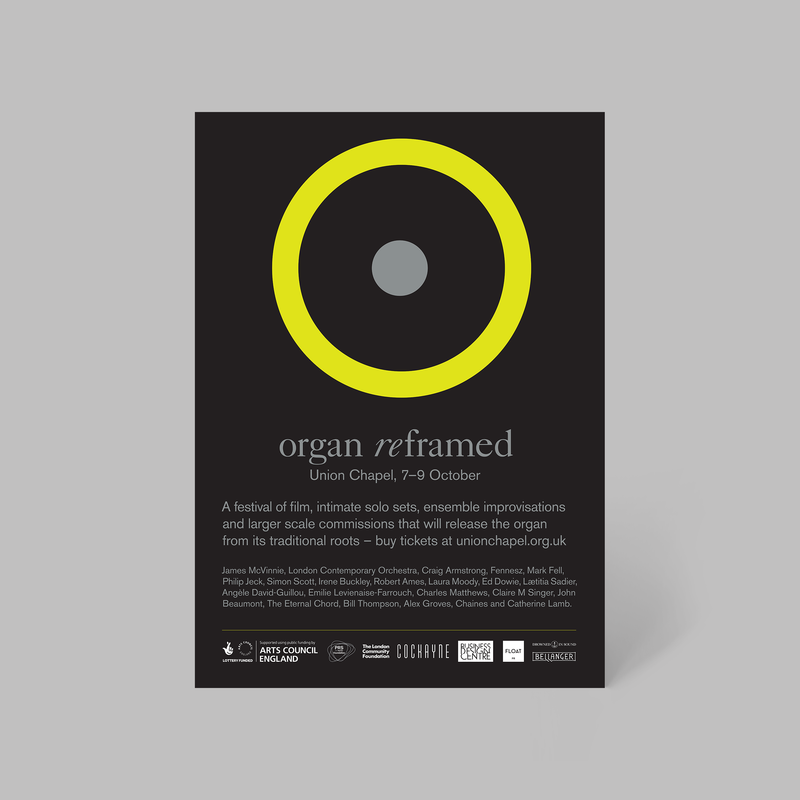 Each year artists at the forefront of experimental music use a mixture of film, music and sound art to challenge preconceptions about the organ with a series of performances at Union Chapel. 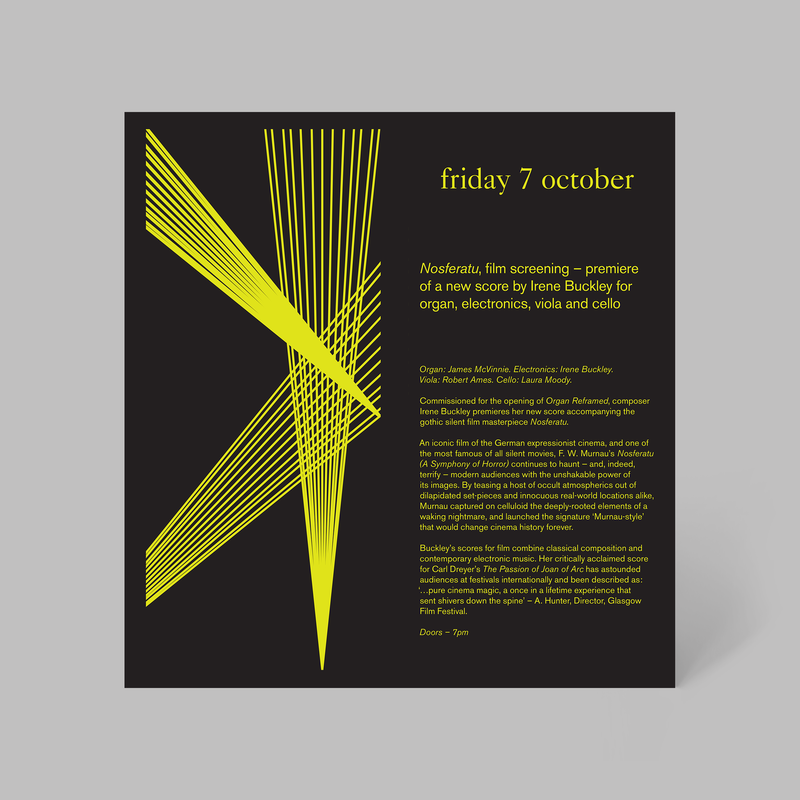 Past commissions include Éliane Radigue, Low, Hildur Guðnadóttir, Philip Jeck, Phill Niblock, Mark Fell, Mira Calix, Darkstar, Kaitlyn Aurelia Smith and Sarah Davachi. 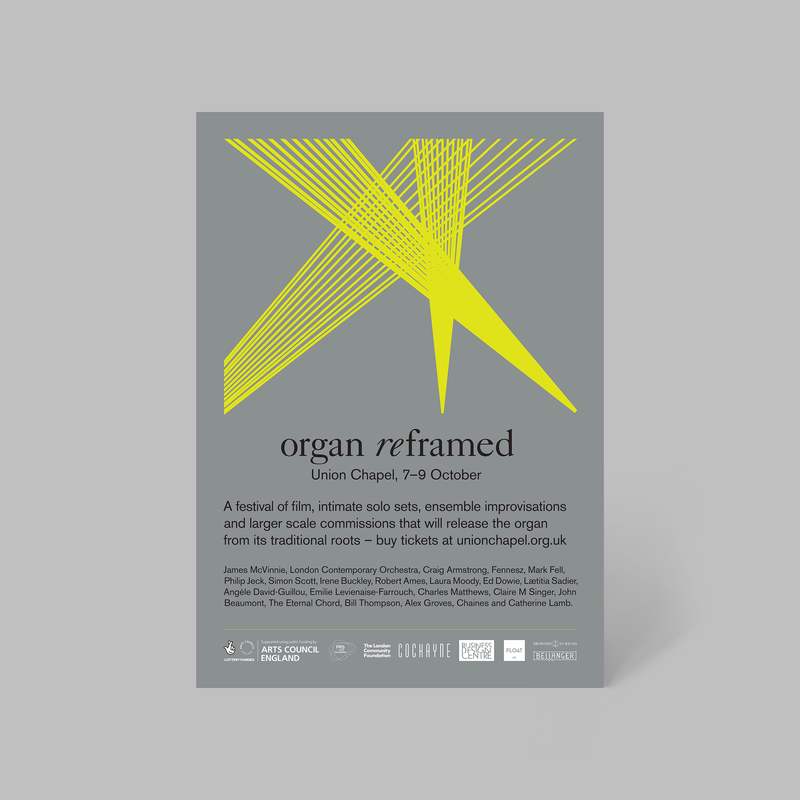 Claire approached me to create the festival’s identity, which I based on diagrams of the organ’s pipes. 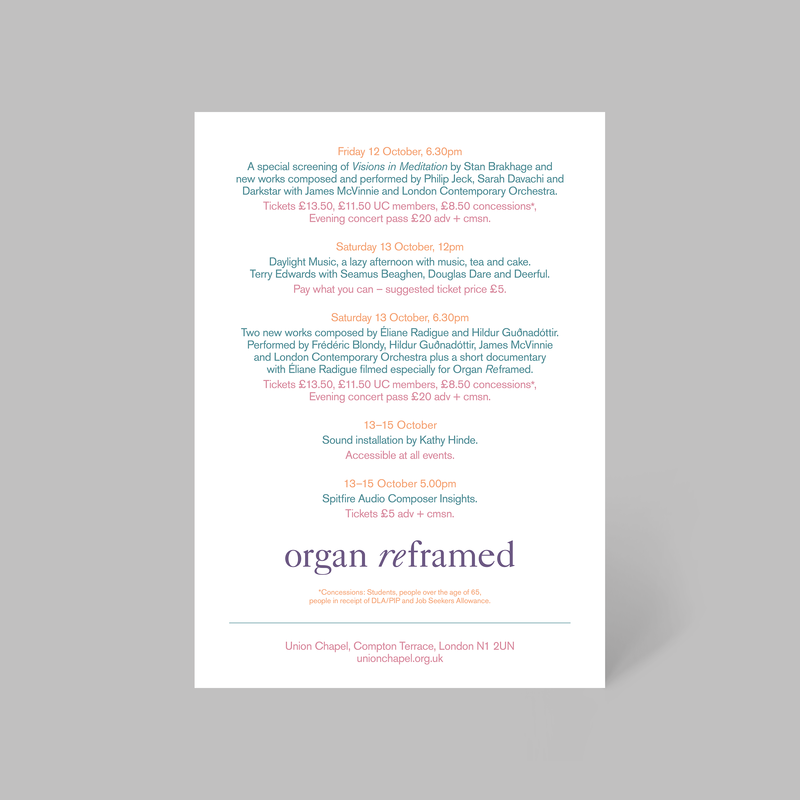 For each season I have designed a series of promotional materials including posters, flyers, large-format banners, digital adverts, projection screens, T-shirts and brochures. 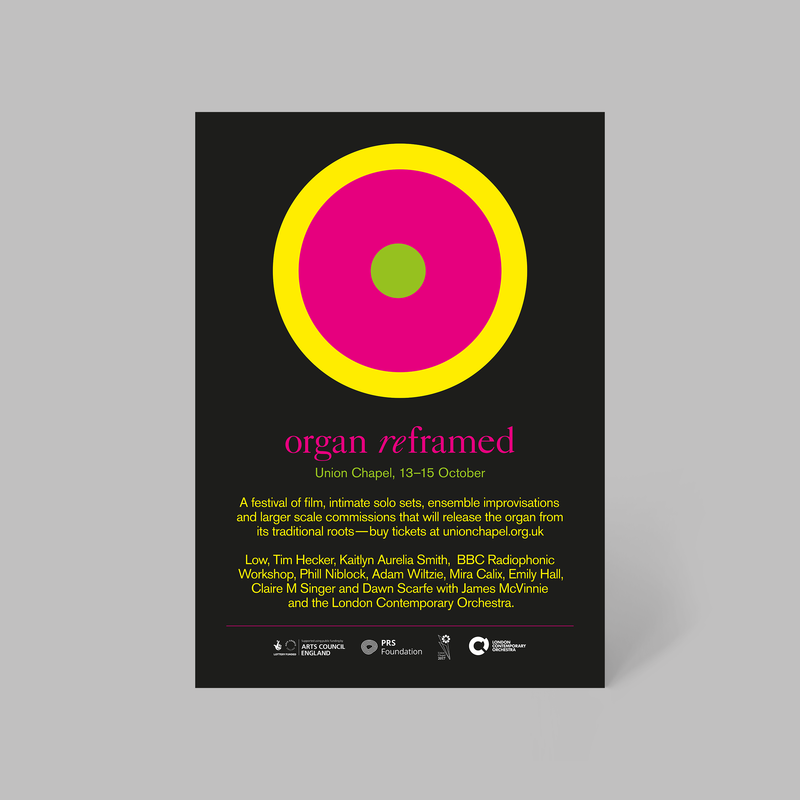 The festival’s lighting design picks up on the colour themes chosen for each year.